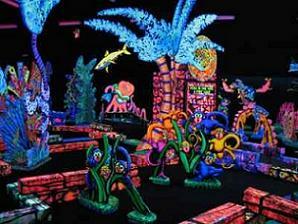 Colourful glow in the dark surroundings and upbeat music add a whole new dimension to the game of miniature golf. Putting Edge provides an unparallel alternative to existing entertainment options and a high quality experience within its locations across North America. For more information please call 905 508 8222 or visit our website.